Frequent trips to the doctor and invasive poking and prodding could soon be relics of the past if this fascinating little device makes it to the market as planned. 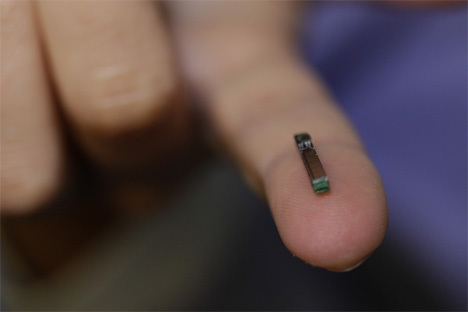 The tiny medical monitor, measuring just 14mm (or a smidge over half an inch), can be implanted under the skin to perform remote monitoring of patients. Whether the patient is suffering from diabetes or being treated with chemotherapy, the miniature medical lab takes note of the levels of relevant substances in the body. Using Bluetooth, the chip could then send timely and important notifications to a patient’s doctor via cell phone. 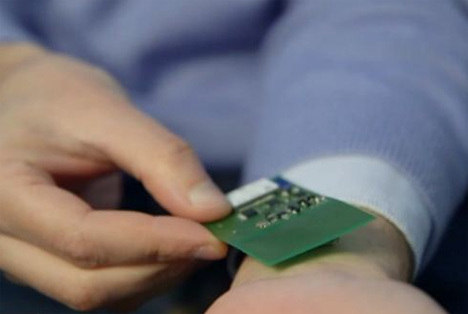 The device is powered via a small patch that is worn on the outside of the skin. 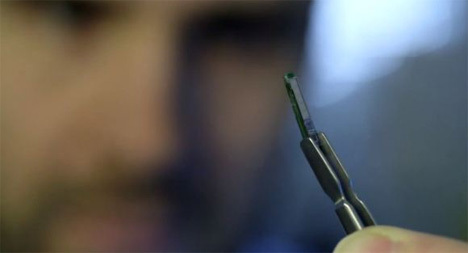 The patch transmits power wirelessly through the skin, eliminating the need for a battery built into the implant itself, which allows for its tiny size. In addition to monitoring the body’s chemical levels, the device could also provide early warning of impending health emergencies like heart attacks. The sensors which measure relevant substances can currently only operate for about six weeks before the chip needs to be replaced, but that is long enough for plenty of applications. Future iterations will undoubtedly have longer possible lifespans. Scientist Giovanni de Micheli, who headed up the effort, says the implants could be on the market within just four years. See more in Medical Marvels or under Science. March, 2013.